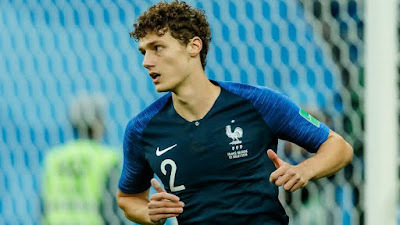 Proud, honoured, and always a little hard to believe," Pavard wrote on Twitter after the vote was announced on Wednesday. "Thank you all for your posts." Quintero's goal, voted in second place. came from a slow-rolling free kick under a jumping Japanese wall of defenders in the group stage. Luka Modric's long-range goal for Croatia against Argentina in the group stage was voted into third place.